"I lost my contacts on my iPhone and want to get them back. But when I search online, there are many suggestions for Windows. I am running Mac OS X Leopard and wondering if there is an easy iOS data recovery software for Mac?" If you have the same puzzle with the customer above to recover the lost data of your iOS devices on Mac, iFonebox for Mac could be the best choice for Mac users on Mac OS X 10.9 Mavericks, 10.8 Mountain Lion, 10.7 Lion and Snow Leopard 10.6. 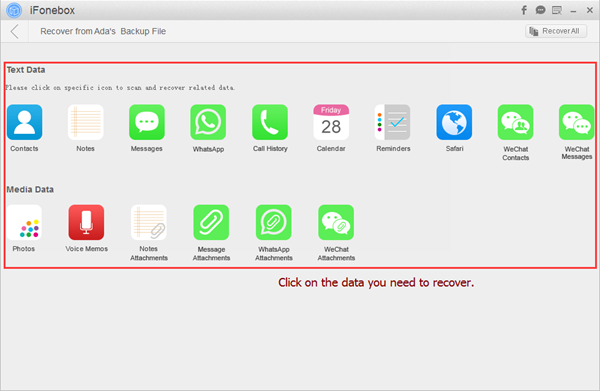 This powerful and easy-to-use Mac data recovery tool supports solve all the problems of recovering the lost data like photos, messages, call history notes, etc. from iPhone, iPad, iPod. 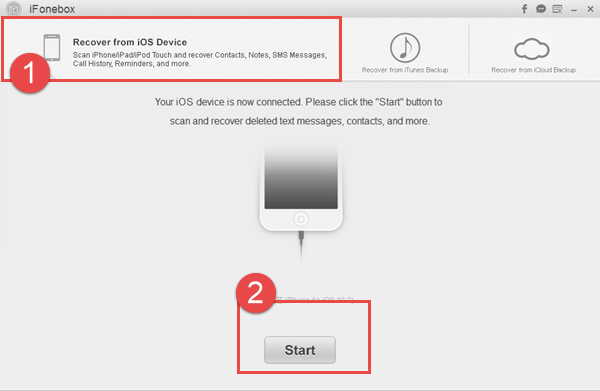 Below is the step by step guide to show you how to recover all the data from iOS devices easily on Mac with iFonebox for Mac.If you are a Windows user, just download the right version to have a try. After clicking the “Recover from iOS Device”, iFonebox for Mac will start scanning your iOS device to analyze the data in your Apple device and find out your deleted and lost data. The progress bar shows the scanning process, and the scan time depends on the number of your database. When the scan finishes, the list of data include Camera Roll, Photo Stream, Contacts, Messages, Message Attachment, Call history, Calendar, Remindar, Notes, Voice Memos, Safari Bookmark is showed on the top of the interface. Click the categories you want to preview and click the “Recover” button to recover all the data on your Mac. Run iFonebox for Mac, click “Recover from iTunes Backup” on the main interface. All of the iTunes backup files which have ever synced with iTunes on your Mac could be automatically found and listed in the program. 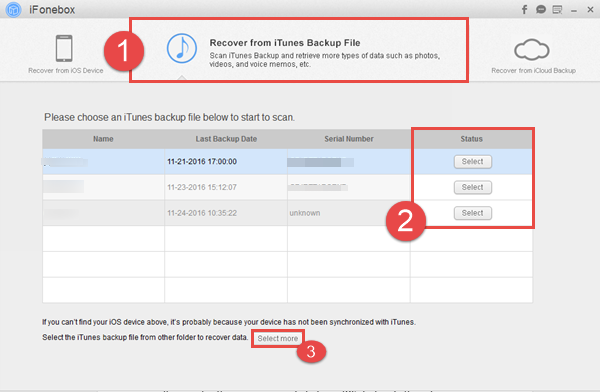 Double click the iTune backup you wan to recover or click the “Start Scan” button to start scanning. After the program automatically extract your data from the scan result, camera roll, photo stream, contacts, messages, call history, calendar, notes, etc could be displayed on the interface. Preview the tabs you want. Then click the “Recover” button at the top-left to save them on your Mac. Tip: If you only want to get deleted files back, please check “Only display deleted items” to list deleted files only. It can help you save your time and you can easily restore the deleted files. If the “Only display deleted items” option is grayed out, it means you can only backup existing files in that section. Nothing can be recovered there.